Last night, the Chisum Lady Mustangs fell in their Bi-District matchup with New Boston 58-57. The Lady Mustangs trailed by 20 at one point in the game but came roaring back and took a 1 point lead late. New Boston sunk a couple of free throws to give them a one-point win. Sarah Hunt finished the game with 32 points, scoring 17 of them in the fourth quarter. In other Bi-District matchups, the Rivercrest Lady Rebels lost by one point, and Gilmer knocked off Paris 47-33. Carol Crooms led Paris with 12 points. Quiniya Savage had 11. Tonight the Quality Care ER game of the week will feature the North Lamar Pantherettes against Bullard on Mix 107.7. Tip-off is set for 6:00 pm. Pregame at 5:50. On the boy’s side, the Crosstown showdown will happen when North Lamar travels to Paris High. The first meeting went into OT. With Paris winning the game. 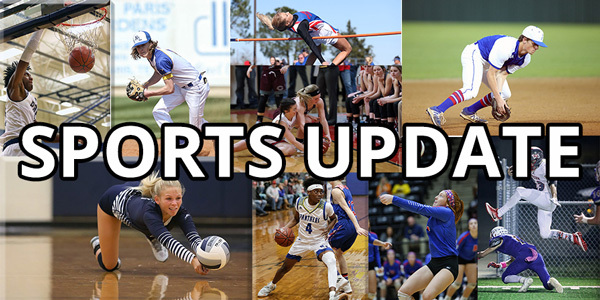 Other action includes Chisum at Mt Vernon, Cooper hosts Commerce, Bowie is at Clarksville, Honey Grove is at Wolfe City, and Roxton is at Fruitvale. The Mt Vernon Lady Tigers begin defense of their state crown tonight as they host the Atlanta Lady Rabbits. Pregame starts at 5:30 pm, tipoff is at 6:00 pm on KLAKE 97.7. In a previous story, we told you that 53-year-old Calvin Grigsby, of the Mt Pleasant Chapter of officials, was selected to the boy’s state tournament on March 9. It is the fifth time he was selected. Mt Pleasant-based officials were also selected to the 3A Girls Regional 1 on February 23. They are Dierede Selmon, Danny Broughton, and Jacob Jones. The Dallas Mavericks fell to Houston last night in the road 120-104. James Harden finished with 31 points got Houston. He’s now scored at least 30 points in 30 straight games. Luka Doncic finished with 21 points, 10 rebounds and 8 assists for Dallas. With plenty of sunlight and no drama, Phil Mickelson finished off a 7-under 65 to win the AT&T Pebble Beach Pro-Am on Monday and match the tournament record with his fifth victory. Mickelson had a three-shot lead over Paul Casey with two holes to play when it was too dark to finish Sunday night, no matter how hard Mickelson lobbied to keep going, because of delays from rain and a hailstorm. Once again Tennessee is atop the AP College basketball rankings. Duke was 2nd, followed by Gonzaga, Virginia, and Kentucky at 3,4 and 5. Michigan is 6th, Nevada 7th, followed by North Carolina, Houston, and Marquette. The Cleveland Browns signed troubled running back Kareem Hunt on Monday. Hunt signed a one-year contract. He will be a restricted free agent after the contract expires, meaning the Browns will control his rights after next season.